Job #205 and #589, built for William A. Parker, Jr. in 1928. A garage was added in 1953. This Brookwood Hills home is featured in Bill Mitchell's book, Classic Atlanta. 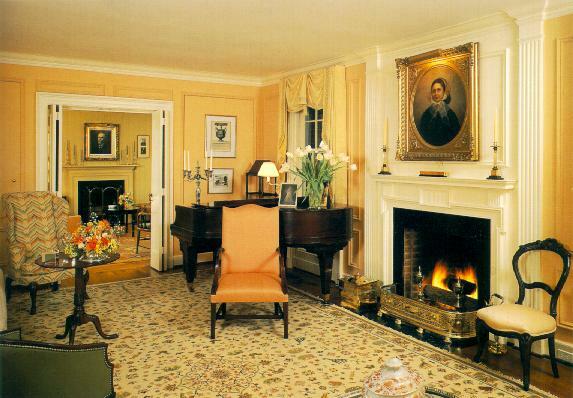 Both the exterior photograph and this interior view were taken by Van Jones Martin and are from that book. The Parkers sold the house to Anne and Bradley Hale in 1964, and they still live there today. Coincidentally, Mr. Hale lived in the SAE chapter house at the University of Alabama (another of Buck's designs) from 1952-56. After a serious fire in March of 1996, the Hales hired Atlanta architect, Norman Askins, to restore their home. Careful study of Buck's original tracings brought to light the fact that, probably because of the depression of 1929, the house had not been built exactly as designed. 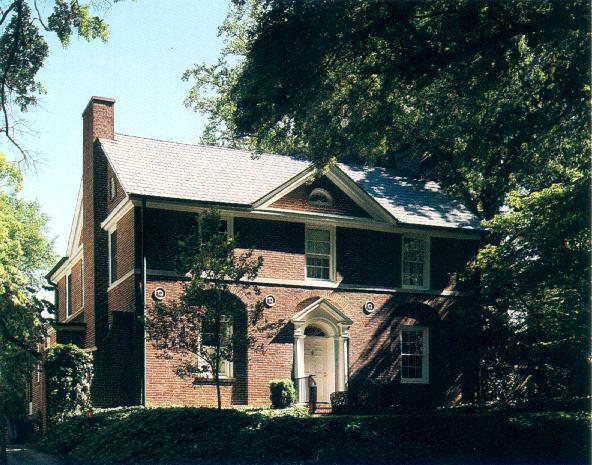 For example, Buck's design called for 9-piece moldings throughout the interior of the house: economic belt-tightening dictated 3-piece moldings in 1929. Mr. Askins restored the home to Buck's original specifications.